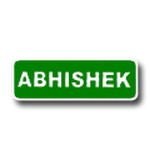 Abhishek Engineering Co., Mumbai, India - Manufacturing and exporting wide assortment of material handling equipment. Abhishek Engineering Co. - Manufacturing and exporting wide assortment of material handling equipment. Incepted in the year 1997, our company, Abhishek Engineering Co. deals in designing, manufacturing and exporting wide assortment of material handling equipment. The range is broadly accredited for long service life, least maintenance, easy operation and high performance. Hence, the collection is widely catered to meet the requirements of diverse industries. We have carved a niche for ourselves in the industry under the able guidance of Mr. M. H. Joshi who is the owner of the company. Further, a diligent and experienced team is employed to assist us in offering best quality material handling equipment such as material handling conveyor, conveyor systems, reciprocating feeders, flight conveyors, inclined / declined conveyors, twins screw conveyors, industrial conveyors and others. We follow a total customer oriented approach to retain the trust that our clients bestow upon us. We ensure of reliable performance of our entire array at client premise. To win their faith we encourage our clientele to respond with their feedback. Our manpower is one of our biggest assets enabling us to achieve our goal of utmost satisfaction to our clients’ needs. We have employed the best talents of the industry to manufacture quality products. All the business activities such as procurement of the raw material, cutting, molding, production, welding, finishing, packaging and many others are managed and handled by proficient & dedicated team of engineers and workers. They make sure that any kind of minor depreciation is immediately taken care of for avoiding any inconvenience at the time of production.